Regulators have finally realized that Canada is addicted to debt, and are trying to limit the fallout. This is not a bad thing. Canada’s real estate market has seen a lot of changes over the past year or so. Interest rates have gone up twice. Governments in B.C. and Ontario implemented foreign buyer taxes and other measures to cool housing markets, and the Greater Toronto Area is experiencing a dramatic slowdown in sales. More stringent mortgage stress-tests were introduced for borrowers last year, too, reducing demand. Now yet another change is on the horizon that the real estate industry warns will hit the housing market hard, with spill-over effects to the broader economy. Industry pushback and fear-mongering is predictable when regulations are proposed, but in this case, the housing industry isn’t exactly wrong. A proposed policy change from the country’s banking regulator threatens to reduce home sales, knock some first-buyers out of the market and push others to buy less expensive homes. That is the whole point, in fact—and it may be just what Canada needs. In July, the Office of the Superintendent of Financial Institutions (OSFI) proposed stricter lending criteria for uninsured mortgages. In order to get a loan from a federally regulated financial institution, these borrowers would have to pass a more rigorous stress test and qualify at a mortgage rate two full percentage points higher than the posted rate (OSFI implemented a similar change for insured mortgages, where borrowers have a down payment below 20 per cent, last October). A comment period ended in August, and OSFI is expected to issue finalized guidelines this fall. milder stress test that it says will provide a buffer “without disqualifying too many middle class Canadians from their dream of attaining home ownership,” according to its submission to the regulator. nstallment loans—high-interest, short-term products. Our profligate spending habits are regularly bemoaned by the likes of the International Monetary Fund, the OECDand the Bank for International Settlements. The primary driver of the debt surge has been falling interest rates. The benchmark rate set by the Bank of Canada has been dropping for decades, making it cheaper and cheaper for Canadians to borrow money—especially to buy houses. Canada’s housing boom tracks falling rates closely, particularly since the recession. The Teranet and National Bank House Price Index, for example, increased 72 per cent since January 2008. The gains are more pronounced in Toronto, which saw a 123 per cent surge over the same time period. Not long after the central bank’s two rate cuts in 2015, the housing market in Toronto fell into complete insanity. Now with the recession behind us and the country recovering from the oil crash, the Bank of Canada believes we can withstand higher interest rates. Governor Stephen Poloz has signalled the central bank is on a tightening path, albeit a very cautious and gradual one. Still, that marks a dramatic shift after years of excessively loose monetary policy. 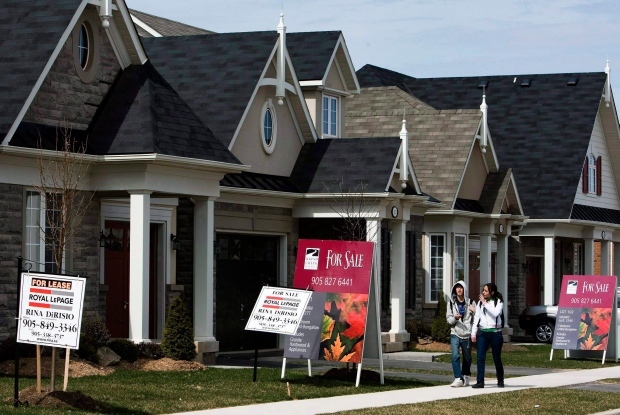 Previously, Canadians could renew their mortgages and obtain more favourable rates. Now the odds are they’ll have to pay more come renewal time. Those who opt for variable-rate mortgages can expect the same. Because this scenario is new to an entire generation of homebuyers, OSFI wants lenders to ensure borrowers have the means to service their mortgages at higher rates. To some degree, that protects the homeowner from the shock of steeper payments. It also discourages lenders from issuing mortgages that could turn sour and put the financial system at risk. 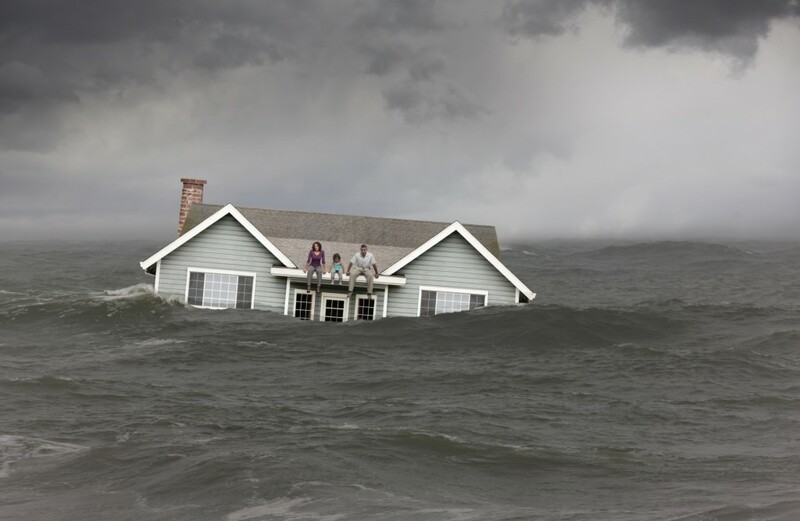 When it comes to uninsured mortgages, after all, the lender bears the risk. “When you’ve been in such a low interest rate cycle that’s out of sync with what we’ve seen historically, and we see housing markets really go to stratospheric levels, the logic of why these changes come in makes sense,” says Beata Caranci, chief economist at TD. She estimates the proposed OSFI measures will impact about 5 per cent to 10 per cent of sales. That’s not insignificant, but not cataclysmic either. “The vast majority of buyers would still qualify,” she says. OSFI isn’t likely to change direction after the Bank of Canada’s rate hike this month. Should stress-testing hit the market hard, contributing to a bigger-than-expected slowdown in consumer spending, the central bank would likely pause before hiking rates again, Caranci says. Some of the industry’s concerns are valid, according to Adrienne Warren, a senior economist at Scotiabank. “There’s a bit of a risk of cooling off the market a little too abruptly,” she says. “But saying that, it’s still reasonable to build in some interest-rate buffer on new mortgages, just to limit financial vulnerabilities.” Warren adds there are benefits to eliminating the “distorting incentives” between insured and uninsured mortgages. me buyers might be borrowing money from friends and family or taking out loans to reach the 20 per cent down payment threshold, thereby taking on more financial risk. The central bank also noted that borrowers are stretching amortization periods past 25 years. While that allows households to pay off debt more slowly, it also limits their ability to extend the amortization period further to deal with an income shock. OSFI’s proposals could help reduce these risks. because interest rates are low. Higher rates will result in more delinquencies if today’s borrowers don’t have the resources to deal with that reality. Instead of a “war on homebuyers,” governments and regulators are finally waking up to the fact that Canada has become addicted to debt and real estate, and are trying to limit the potential fallout. There will be turmoil as interest rate hikes and regulations work through the market, but the alternative could be far worse. There has been an awful lot of noise in the media recently about the increasingly high levels of debt the average Canadian is carrying around on his or her back. And rightfully so: According to a recent report from Statistics Canada, our total national debt load, including mortgages, sits at around $1.8 trillion. (Why does that number always make me think of Mike Myers?). That’s more than $50,000 for every Canuck. But amid all the commotion are some surprisingly difficult-to-answer questions: Is all this debt bad? Is any of it good? And how can we determine what debt is good, what debt is bad or should we just try to avoid all debt like the plague? The answers aren’t always clear-cut. Clearly, further insight is required. Economic types traditionally describe debt as being either good or bad, depending on what it’s used for. The good stuff is generally defined as money borrowed to buy something that will appreciate in value, like a house. Conversely, bad debt is described as money borrowed to buy something that will depreciate in value, like Buddy using his credit card to borrow $2,000 for a new set of golf clubs (they’re on sale! ), because everyone knows you’ll play like Tiger Woods once you have a $2,000 set of his Nike golf clubs. Unfortunately it’s not that simple. Not all good debt is good and not all bad debt is bad. (Warning: This is going to get wordy.) Yes, I am saying that there is such a thing as bad good debt and good bad debt. An example of bad good debt is when Buddy goes out and buys an oversized house that exceeds his needs. And to make matters worse, Buddy buys the house before he is financially ready. He puts down a too small down payment on his too big house and as a result, he ends up with a too big mortgage—which he amortizes over too many years. Given enough time, the house will likely appreciate, and this technically makes Buddy’s big mortgage “good” debt. However, it’s unlikely the house’s value will increase enough to cover the cost of the interest he’ll end up paying, let alone the larger expenses the house is going to generate: heating, upkeep, taxes and so on. To boot, there is a real possibility that this “good” debt will interfere with Buddy’s ability to properly save for his future. Broadly speaking, if Buddy’s housing costs (mortgage, utilities, insurance and taxes) exceeds 32% of his gross income, and if he will be paying those costs for more than 25 years, then it’s bad good debt. On the other side, when Buddy’s sister Buddy-Lou takes out a two-year loan to help her pay for a gently used Honda Civic, that loan is technically bad debt since the car is going to depreciate. However, borrowing this money makes more sense than borrowing for a new car and it certainly makes more sense than leasing a new vehicle. (We’ll save that discussion for another time.) Assuming she takes care of it, Buddy-Lou’s car will still have value for years after the loan is paid off. Sure, it would be nice if she had the money in her bank account to buy that Civic when her old car died, but it would also be nice if George R. R. Martin didn’t kill off all of the best characters in Game of Thrones. Life happens. The loan needs to be manageable, without putting pressure on Buddy-Lou’s ability to save for her future. If that’s the case, it’s good bad debt. It’s important to understand there is a big difference between accepting that you likely will incur some debt as you go through life and accepting debt as a way of life. It’s also a good idea to occasionally remind ourselves that even good good debt, like a properly structured mortgage is debt nonetheless and, as such, the interest you are paying on it isn’t doing you any favours. All debt, good, bad or anything in between, costs money and we should always be on the lookout for ways to pay it off as quickly as reasonably possible. As a nation, we have become far too comfortable with personal debt. Today’s low interest rates are certainly a contributing factor, but the “keeping up with the Joneses” syndrome plays a part too. In some circles, it has become acceptable, even fashionable, to rack up mountains of high-interest credit card debt and then borrow more money to make the payments. Do not buy into this thinking. Pun intended. Credit card interest rates are anything but low, with many cards charging up to 29.99% interest. Even a “low interest” credit card will charge you around 12%. If you’re carrying a balance on your cards and you’re struggling to pay it down, you should transfer the balance to a low interest line of credit while you work it off. That would at least be better bad debt. There is an inherent danger in describing debt as good. Sure, some types of debt are obviously better than others but that’s not the same thing as being good. Maybe we should further refine the two traditional definitions of debt into “bad debt” and “responsible-debt-that-I-thought-about-carefully-before-I-took-on-but-I-still-need-to-eliminate-as-quickly-as-reasonably-possible debt.” Because really, the only good debt is no debt at all. On any given day now you can expect to hear at least one economist, public official or financial commentator express grave concern about the mountain of debt Canadians now carry. The bloated debt loads of Canadian households has become a pervasive topic in media. But for all the attention the subject has received, it’s a safe bet that most people still cling to very clichéd notions that only so-called “deadbeats” ever hit the debt wall. Nothing could be further from the truth. The reality is Canadians would be shocked if they could peer into the private financial lives of many of their closest neighbours and friends. As a licensed insolvency trustee firm, our practice is on the front lines of Canada’s household debt binge and the bad personal finance habits that ensnare so many people. And what we see every day is that the majority of those grappling with serious debt trouble are the most typical individuals and families you could imagine. Here is just a sample of recent files that have crossed our desks: A staff accountant with multiple lines of credit, several maxed-out credit cards, a big mortgage, a significant home-equity line of credit (HELOC) and two leased luxury cars; a TTC driver with two mortgages and $100,000 in unsecured lines of credit; a teacher with eight payday loans and a senior financial analyst at a chartered bank with seven credit cards, all carrying high balances. I could go on and on. Those disturbing financial cases are no longer the extreme end of the spectrum that they were at one time. They are the “new normal” in our trustee practice. The real horror stories are far worse, albeit less frequent. The normalization of excessive debt is reflected in the data that Statistics Canada regularly releases. The household debt-to-income ratio now stands at 169.4, up 23 per cent from a decade ago, and on par with what the U.S. saw at the peak of its housing bubble. Of course, such figures are averages. According to the Bank of Canada, close to half of all high-ratio mortgages originated in Toronto were to borrowers with loan-to-income ratios in excess of 450 per cent. 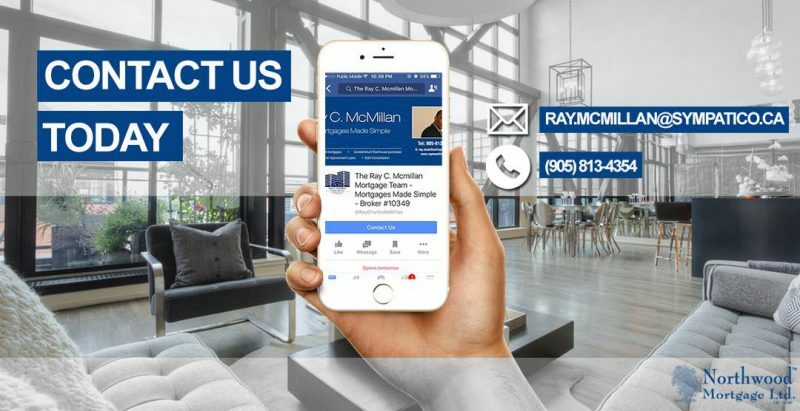 A growing number of the clients we see have all the trappings of a middle class lifestyle—they’re gainfully employed, own a home and from the outside seem fiscally responsible—but it’s built on a foundation of debt and bad financial decisions. Many cases involve large tax arrears, such as a real estate broker who owes $383,000 to the Canada Revenue Agency in unpaid income tax. Others involve failed businesses. Then there are the frequent cases where financial companies inexplicably lend vast sums to underemployed people, even as their debt loads balloon out of control—in one case, a senior who emigrated to Canada 15 years ago, had never worked and been on a very low disability pension since shortly after arriving, owed more than $200,000 in credit card debt. While the causes for these horror stories are varied and obviously complicated, there is almost always a common detail: Most clients in significant debt trouble today would not be in that situations had they simply funded their lives by cashflow instead of credit. And that may be the crux: a decade of low interest rates has fuelled habitual credit reliance by consumers. Two or three decades ago, it would have been unthinkable for people to hold the equivalent of $30,000 or $40,000 (or more) in credit card debt. Yet now that has crept into the Canadian psyche as just something one does. A lot of credit card debt, of course, has in the last few years been shifted over to lower-interest lines of credit, usually unsecured. This Peter/Paul conundrum is interesting: we very often see examples where people have paid off their credit cards using available lines of credit, only to have their credit card balances swell back to where they were within a year or so. Let me share a scenario of someone who is self employed, as it highlights how a debt problem can spiral out of control quickly. I met recently with a woman in her 50s who owns her own company that furnishes and decorates high-end businesses, like big law firms. Or at least it did. With big firms shrinking to meet reduced market demands and trimming costs, her business had dried up. Her accountant brought her to me, and it was clear she had severely mismanaged her business and financial affairs, despite her accountant’s warnings. We see this all the time—small business owners are typically very good at what they do, but very poor at handling day-to-day administration. The CRA lien is the big problem here. She can’t sell or refinance her house with the existing lien unless she pays her back taxes, while in the meantime interest charges and penalties pile up. Although this may seem hopeless, it is actually a straightforward personal bankruptcy scenario: She closes the business, any source deduction or HST owing is included in the personal bankruptcy filing, as are any personally guaranteed business debts. She walks away from her house and cannot be sued for any shortfall due to the creditor protection afforded by her bankruptcy. She will lose her house and business, but that almost certainly would have happened regardless. I should point out that clients in this type of situation often insist on keeping their house, a reflection of the deep-seated Canadian devotion to home ownership, and it takes long and difficult conversations with family, friends and trusted advisors before they come around to the realization that they have to let go of their home. Keep in mind that the above situation is very normal for us. This is something we see every week. As stated earlier, the most troubling trend we see now is the flood of regular Canadians facing financial crisis. Households and individuals who are employed, have decent incomes, own homes and have done everything they feel they ‘should’ be doing now find themselves facing serious, if not insurmountable, debt problems. They are having to file insolvencies now, or will in the next few years. There are possible alternatives to outright bankruptcy, of course. Often, if clients have serious debt problems but also decent incomes, they will attempt a consumer proposal to settle their debt legally through a licensed trustee. 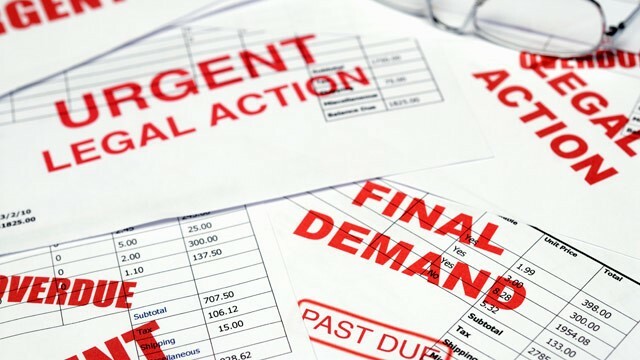 In effect, creditors agree to accept just a portion of what they’re owed (which is more than they might get if someone is forced into a personal bankruptcy situation). This allows people to keep their assets (house, vehicles, investments, cottage, etc.) 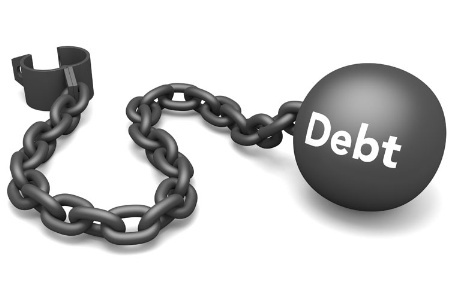 while eliminating unsecured debt they would otherwise have little chance to pay off in the normal course of life. The credit impact in a proposal is easier than a bankruptcy, and one can rebuild credit in a few short years. It’s a growing option for debtors. In fact, about 50,000 Canadians file proposals every year, and that number is rising. Increasingly, life has simply become too unaffordable for many. The temptation to spend is too great, and access to cheap debt too easy. When the gap between what people need or want, and what they can afford with their incomes becomes too great, credit is used to fill the gap. Interest kicks in, and the cycle begins. As credit card debt is shifted to readily available lines of credit, $5,000 becomes $15,000, and soon you’re facing a $50,000 or $100,000 debt problem. A person living at or below the median income range simply cannot handle this. Unfortunately, that’s a lot more ‘normal’ than you think.